CommUnity of Minds — Timothy Wilken, MD writes: Human intelligence develops over time and can achieve four levels of understanding. We start with PERCEPTION then develop and sometimes master CONCEPTION, then develop and sometimes master MECHANISM and finally develop and sometimes master CONSEQUENCE. These levels are sequential–CONCEPTION follows and depends on first mastering PERCEPTION, MECHANISM follows and depends on first mastering CONCEPTION, and finally CONSEQUENCE follows and depends on first mastering MECHANISM. It is possible for most humans to understand, and then master their intelligence fully. Those who choose to do so, can with practice, develop the ability to access five modes of thinking: Survive, Adapt, Control, Create, and Co-Operate at will. With additional study and contemplation they can gain mastery of the four levels of knowing: PERCEPTION, CONCEPTION, MECHANISM, and CONSEQUENCE. PERCEPTION is the understanding of space and sameness—spacial integrity— recognizing WHAT is associated with Good Space and WHAT is associated with Bad Space. PERCEPTION is also knowing WHERE to go to enable or avoid a recognized event—knowing WHERE to go to secure Good Space and WHERE to go to avoid Bad Space. PERCEPTION enables the ability of Adaptation. CONCEPTION is the understanding of time and difference—temporal sequence—local cause and effect, and from that understanding knowing WHEN to act in time to encourage a desired event, or WHEN to act in time to discourage an undesired event from occurring. CONCEPTION enables the ability of Control. MECHANISM is the understanding of HOW things work together—what events and actions are necessary to produce a desired resultant—knowing how PERCEPTION and CONCEPTION relate to each other. MECHANISM enables the ability of Creation. And finally, CONSEQUENCE is the understanding of the potential risks and benefits of our actions and their effects on our selves and upon others. CONSEQUENCE enables the ability of Co-Operation. The scientists and technicians working at the Manhattan Project in Los Alamos, New Mexico used their KnowHow to weaponize this MECHANISM of Nature with the creation of nuclear bombs. Now let us examine the threat of nuclear weapons from the perspective of our four levels of human knowing. PERCEPTION is the level of knowing necessary to adapt to a nuclear event — to know what is associated with a nuclear blast, and to know where to go to escape from the blast of a nuclear weapon. Where is Good Space? Where can I go to avoid Bad Space? CONCEPTION is the level of knowing necessary to control a nuclear event — to know when to act to either detonate, or deactivate a nuclear weapon. What is the proper sequence of actions to control the process? And, when do I enter the activation code? Or, when do I enter the deactivation code? MECHANISM is the level of knowing necessary to create a nuclear event — to know how reality allows the forces of nature to interact and result in a nuclear explosion — E=mc2. And, it also is the level of understanding necessary to invent and manufacture the technology of a nuclear weapon — the Manhattan Project. How do I design a nuclear device? 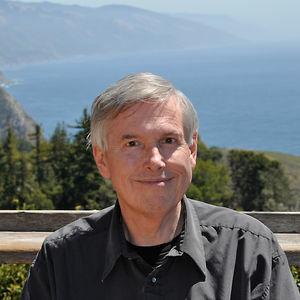 Future Positive— Karyn M. Peterson interviews Educator, John Hunter. At the start of a national tour to promote his new book about his experiences teaching the game, World Peace and Other 4th-Grade Achievements (Houghton Harcourt, 2013), Hunter addressed the crowd at SLJ’s recent Public Library Leadership Think Tank, then sat down to speak to us about unlocking kids’ infinite potential, his faith in kids to improve our world, and how he daily inspires (and is inspired by) his students. At our Think Tank, you spoke about the lasting impact of even the smallest gestures. Can you tell us more about this concept? Really, in some ways I’m an introvert who just happens to appear to be an extrovert. There was a moment in Japan—I’m sitting in this 500-year-old cypress wood meditation hall on a bamboo-covered mountainside near the Sea of Japan—and I thought, ‘You know, this is where I should be. I really don’t need to go anywhere else.’ But I had obligations; I had things to do in the world. Had I not been a teacher, I was very inclined to find a place like that and simply go into meditation. So how do you summon your inner extrovert? Or embrace it? The foundation was of course, I had a very happy life. My parents were both very sweet and loving, so it was a very quiet family life. And that calm safety that we had in the home made a comfort in the world. And so going out into it, I didn’t feel defensive or afraid. How that transformed to be more of a performance art, like teaching? Well, it was called for. In a classroom…[you] really bring every tool that you have to the situation. You adapt and become whatever creature you must. You’re an academic and social amphibian; you grow gills when you have to and you drop fins when you have to, to help children be what they need to be. And playing in a band doesn’t hurt either! I had a studio practice for about 20 years, sound design, ambient music, Waveform Records. It’s still something I do in what little spare time I have. Do you bring music into the classroom as well? Absolutely! Some children like it to be quiet, so we’re quiet sometimes, but there may be some Miles Davis in the background, “Sketches of Spain,” something very open and spacious. I take the children through different modalities of thinking using Howard Gardner’s multiple intelligence theory, [with] eight different pieces of music, all within the space of an hour. It’s astounding what they do in that time [and] music is the springboard for that. I want them to have an expanded world, so I’m playing Indonesian gamelan or opera arias or glitchcore from Vladislav Delay, this Finnish DJ—something they’re not going to run into on the radio or around the house. And the library was fundamental in that, too! In the Richmond Public Library when I was a young man, I would go and check out records. I listened to Turkish music, to music from the bauls of India. That library was instrumental in my becoming who I was musically. How has your teaching shaped your vision of the future? I’m completely optimistic. There is no doubt in my mind that high school students can save this planet completely, in every way. No doubt. They’re relentlessly compassionate. The more we empower those young people to be in charge…the better off we’ll be. Is compassion the most important legacy of your World Peace game? The Gifting Earth — Timothy Wilken writes: Dearest Community, I want to share a powerful new tool for co-operation with you. This tool is a gift from me to you — a gift from me to every member of my human family. It is available as a free online website that enables a community of users to easily help and be helped through the gifting and sharing of: Goods, Services, Knowledge and Compassion. I want to thank all of you that have joined us. If you haven’t joined yet, it’s really easy, just click on the New Account link at the top of every page on TGE. Then you can begin to help others by gifting and sharing, and others can begin to help you by gifting and sharing. We humans are really one people. We share one earth — breathe one air — drink one water. The impact of our human oneness means that we are an interdependent species — sometimes I will need your help, and sometimes you will need mine. We are at our best when we work together and trust each other. The Gifting Earth is based on one rule: Be Love. If you choose to Be Love then you can only Do Good, and if you only Do Good, you will discover that your community so values you that it will insure that you Have Everything you need and want. Imagine a world where Co-Operation has displaced Market — a world where GIFTors and GIFTees have displaced sellers and buyers. In your role as a GIFTor, you will help others within the community. In your role as a GIFTee, you will be helped by other members within the community. So Be Love, Do Good, and Have Everything. NPR — English critic Samuel Johnson once said of William Shakespeare “that his drama is the mirror of life.” Now the Bard’s words have been translated into life’s most basic language. 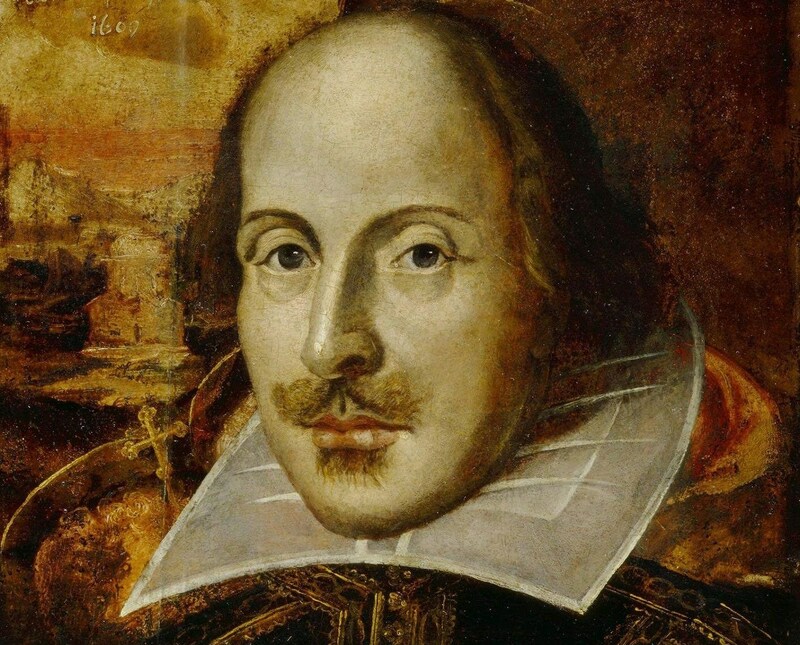 British scientists have stored all 154 of Shakespeare’s sonnets on tiny stretches of DNA. It all started with two men in a pub. Ewan Birney and Nick Goldman, both scientists from the European Bioinformatics Institute, were drinking beer and discussing a problem. It’s a problem faced by many large companies with expanding archives. Luckily, the solution was right in front of the researchers — they worked with it every day. “We realized that DNA itself is a really efficient way of storing information,” Goldman says. DNA is nature’s hard drive, a permanent record of genetic information written in a chemical language. There are just four letters in DNA’s alphabet — the four nucleotides commonly abbreviated as A, C, G and T.
When these letters are arranged in different ways, they spell out different instructions for our cells. Some 3 billion of those letters make up the human genome — the entire instruction manual for our existence. And all that information is stuffed into each cell in our bodies. DNA is millions of times more compact than the hard drive in your computer. The challenge before Goldman and his colleagues was to make DNA store a digital file instead of genetic information. “So over a second beer, we started to write on napkins and sketch out some details of how that might be made to work,” Goldman says. They started with a text file of one of Shakespeare’s sonnets. In the computer’s most basic language, it existed as a series of zeroes and ones. With a simple cipher, the scientists translated these zeroes and ones into the letters of DNA. Posted in Best of Times, Future Positive, Opportunity, Science, The Internet | Comments Off on Storing Sonnets on DNA? CommUnity of Minds — Today’s article, posted here the day before we American’s attempt to choose the least incompetent government for our near future, shifts our attention to a much bigger question. What is the state of of our present human species? Charles C. Mann writes: THE PROBLEM WITH environmentalists, Lynn Margulis used to say, is that they think conservation has something to do with biological reality. A researcher who specialized in cells and microorganisms, Margulis was one of the most important biologists in the last half century—she literally helped to reorder the tree of life, convincing her colleagues that it did not consist of two kingdoms (plants and animals), but five or even six (plants, animals, fungi, protists, and two types of bacteria).